Tidal power use the energy in the waves to generate electricity. You’ll notice that at night the water is much higher than it is during the day.  When the water is high it is said to be ‘high’ tide, and when it is low, it is ‘low tide’. 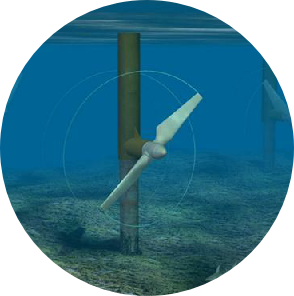 Large underwater turbines are placed in areas with high tidal movements (significant differences between high and low tide), and are designed to capture the kinetic motion of the ocean tides in order to produce electricity. 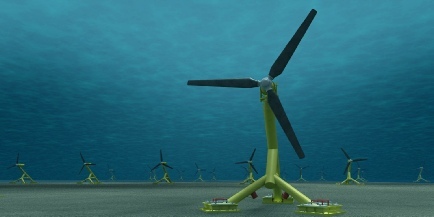 Tidal power uses the movement of the ocean coming in and going out to spin a turbine.